As 2012 draws to a close I'm returning with a contrarian (and personal) reflection. For a variety of reasons I need to take a step back from my regular monthly contributions. This has sparked discussion amongst the electricjive team and the future of the site remains uncertain. We are committed to keeping the site alive and intact but exactly how and where is currently undergoing a lot of consideration. In a 180 degree turn from what we normally do at electricjive I have stripped today's share of as much context as I can and hope that the absence of a detailed background and positioning will free you to LISTEN to the music in a different way. Enough said. All the very best for 2013 and all that it holds. P.S. There is a currently undisclosed but significant prize for the individual who correctly identifies the pieces shared today. Enjoy the blindfold test! 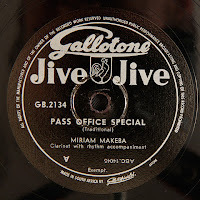 I promised after my first post of less common material by Miriam Makeba — Tracks Less Travelled — that I would follow up with more, equally rare, sounds by the singer on 78 rpm. Today, fifteen months later, we feature that second compilation. 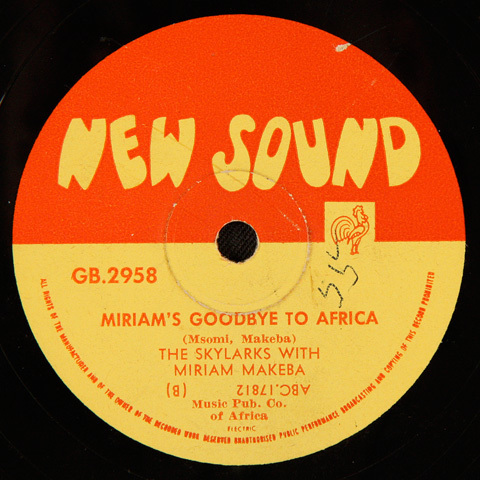 The tracks here all come from the period before Makeba left South Africa in August 1959 and in many ways trace the growth of her early career — first as an individual (after many recordings with the Manhattan Brothers) and then with the all-female, close-harmony groups: the Sunbeams and the Skylarks. To my knowledge, none of the material below (save for one track) has been reissued in any subsequent format. Most of this material has not been heard in almost 55 years. 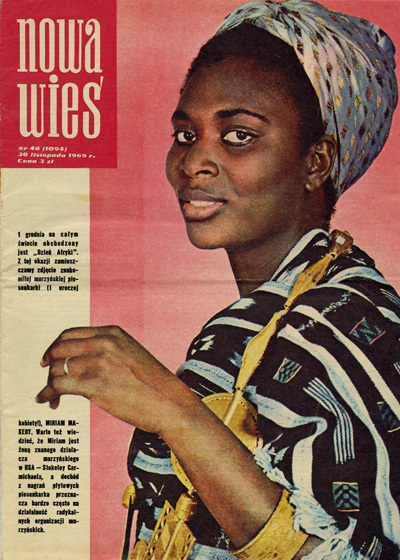 Makeba was an icon and pioneer of what has come to be called "world music" long before the term even crossed the marketing desks of record companies. While I loathe the term, I wonder if it in fact accurately and appropriately describes an artist like Makeba who did not restrict herself to one culture but drew material from many languages and styles worldwide: Xhosa, Zulu, Swazi, English, French, Hebrew, Spanish, Portuguese, Guinean and so on. She truly was a "world singer". On the other hand, the cynical side of me also recognises that those languages just happen to correspond with the particular places where her records were pressed and sold. So I have often wondered if her eclectic approach was not just an artistic choice, but also the result of pressure from international record companies to increase global sales. I compiled the collection below in chronological order based on the matrix numbers of each recording and the results not only trace the evolution but also paint a portrait of an artist (and indeed a culture) open to a broad range of stylistic influences — even before her departure from South Africa. 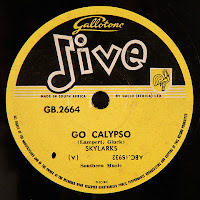 Calypso, gospel, close-harmony American popular music of the 1940s and 50s, but most significantly American jazz; all combined with local traditions to establish an eclectic palette. The source of the calypso is not hard to pin point. 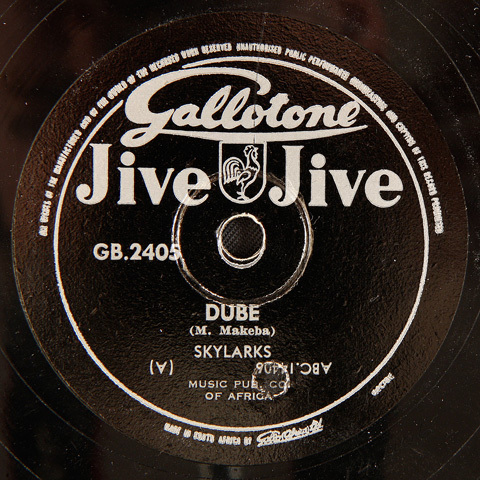 Makeba's first two tracks in this style (recorded in 1957) are cover versions from Harry Belafonte's classic and influential album Calypso from 1956 (the first album to sell over one million copies). A fortuitous sampling — two years later it would be Belafonte himself launching Makeba's global career. Mackay Davashe's Laku Tshon iLanga was her first big hit with the Manhattans but not her first recording. (That may have been Baby Ntsoare.) Gallo had sent the recording to a number of companies overseas and subsequently requested that the group re-record the song in English for an international market. 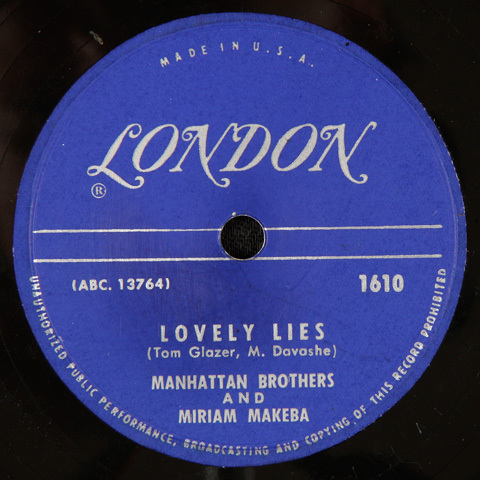 With the help of American composer, Tom Glazer, Lovely Lies was the result pressed on the London label. Though Makeba was not a fan of the new lyrics — she felt that much of the core social drama of the original had been removed. Nevertheless, the song became their first big international hit and also the first South African song to enter the Billboard Top 100 in the United States, reaching position 45 in March of 1956. 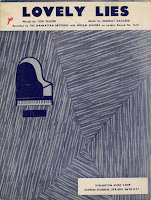 (Allingham) Because the composing process was generally quite fluid, Magotsi claimed that the Manhattans had an arrangement to share any composing fees with all involved regardless of who got the final credit. Davashe honored this arrangement for the original release but then conveniently failed to do the same for the English version. (Rasmussen) The credits in the latter went to: Davashe / Glazer. Makeba talking about Lovely Lies in her first book also incorrectly stated that the recording was unusual as blacks were forbidden from singing in English. 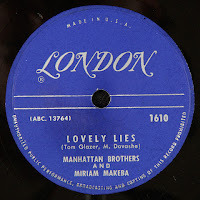 But according to Rob Allingham, this was not true the Manhattan Brothers had recorded a number of tracks in English in the 1940s and perhaps the lack of support for music in English by blacks may have been attributed to commercial concerns. Makeba's hits with the Manhattans include Baby Ntsoare, Laku Tshon 'iLanga, Tula Ndivile, Ntyilo Ntyilo, amongst others. All can be heard on the CD: The Very Best of the Manhattan Brothers (CDZAC 77) compiled by Rob Allingham. 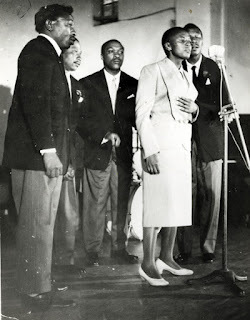 Sometime in 1954, Makeba left the Manhattans to join Alf Herbert's touring show African Jazz and Variety featuring Dorothy Masuka, Dolly Rathebe and Lionel Pillay amongst others (Rasmussen has the date as 1954, Makeba has it as 1956) and then was again reunited with the Manhattans on Ian Bernhardt's variety show Township Jazz in 1955. She also recorded tracks under her own name for Gallotone in that same year. 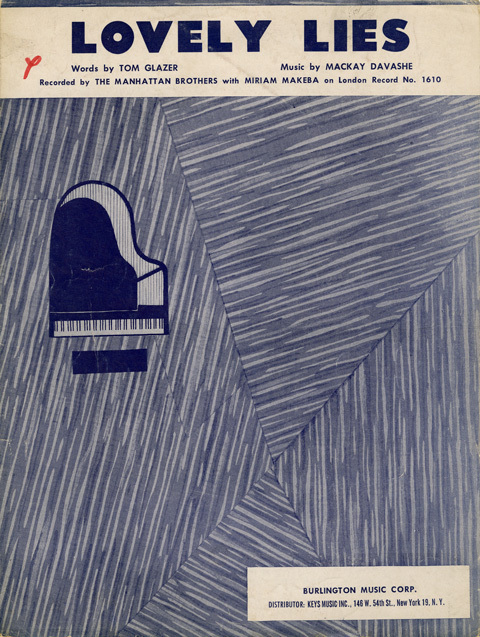 Between 1957 and 1958 planning and rehearsals began on what would become the biggest hit of 1959, South Africa's first all-black African jazz opera: King Kong. The show was produced and directed by Leon Gluckman with music written by Todd Matshikza and included some of the key artists and musicians of the day. Makeba played the lead female role as Joyce, the girlfriend of the legendary and tragic boxer Ezekiel Dlamini, who was played by Nathan Mdledle. Other members of both the Manhattans Brothers and the Skylarks including Joe Mogotsi and Abigail Kubeka were also featured in the cast. The show opened to racially mixed audiences at the Wits Great Hall in February 1959 and then toured the country with much success for the next six months. Regardless of these rights issues, Makeba's importance as an anti-apartheid figure is significant and well-documented, but I really do not think people, especially in South Africa, even begin to grasp how singularly important she was to this movement and the global image of South Africa during these turbulent times. 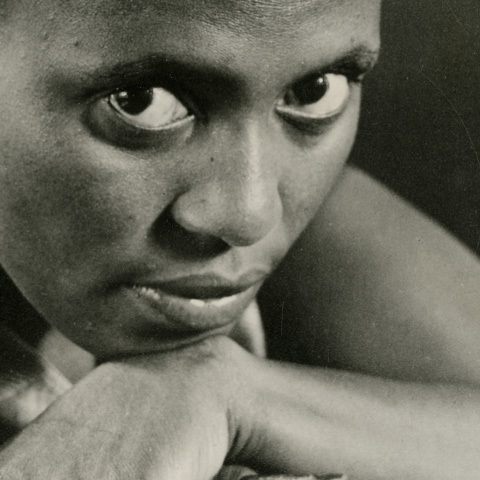 Before Mandela, Makeba was the face of South Africa to a global audience. 1960 is a watershed year in South African history. It is the year that Makeba released her first album in the United States, Europe and many other countries, but more importantly it is also the year of the Sharpeville massacre. The shootings were covered in the international press like no other prior event in South African history. The coverage sat on the front page of the New York Times for almost two months and during this time, Makeba was performing in New York, on US national television, and was broadly covered and reviewed in the US press. For many Americans she became the single face, literally, of a distant country in crisis. Pass Office Special refers to the pass book that all black Africans had to carry during the height of the apartheid years. 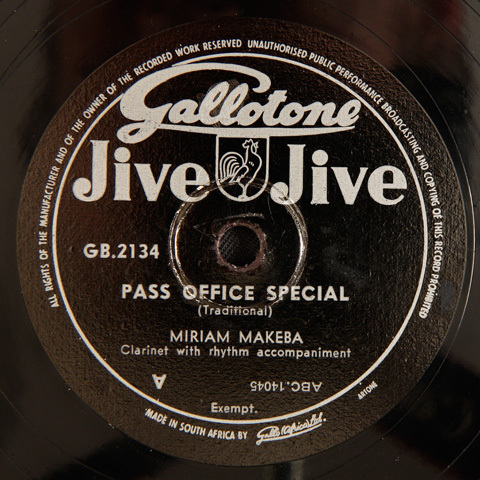 According to Rob Allingham solo recordings by Makeba were advertised by Gallo as early as October 1955. It is my measured guess that these two tracks are from that period. Each of these tunes, though, were hits for Troubadour’s Dorothy Masuka in 1956 and are featured on her compilation CD: Hamba Notsokolo. Pass Office Special was released by Masuka as the more up-beat Ngi Hamba Ngedwa. 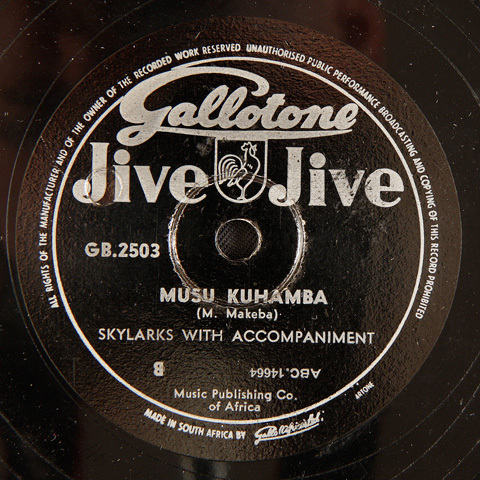 On the CD Masuka is credited as the composer for both tunes and Makeba gets the credit line on the Gallotone 78 rpms. While Makeba has notoriously claimed others songs as her own, I am almost confident that both these recordings predate Masuka’s versions. Though rivals, Masuka and Makeba were fast friends and often practiced songs together. Makeba gives this account of their relationship in her biography: "Dorothy and I are always singing: backstage at the shows, on the train, late at night at our hotel, everywhere! She is smart and fast. Dorothy also composes beautiful melodies. Always, she is thinking of a new one. When one pops into her head, she comes to me and says, "Hey Miriam! Take this part." I hum it, and she improvises by humming another part. It is too bad that we cannot record together, but we have contracts with different record companies. Still, we have fun together." 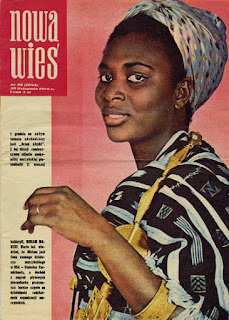 (Makeba) Makeba would go on to “cover” a number of other Masuka songs during her career sometimes as her own compositions. 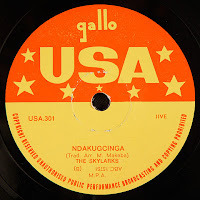 Ndakugcinga comes from the same session and is the b-side of Kutheni Sithandwa. Both tunes are variations on Harry Belafonte’s Jamaica Farewell and his international hit the Banana Boat Song (respectively). The songs signal the beginning of the influence of Belafonte’s album Calypso which became a worldwide hit in 1956 and the first record to sell over a million copies. 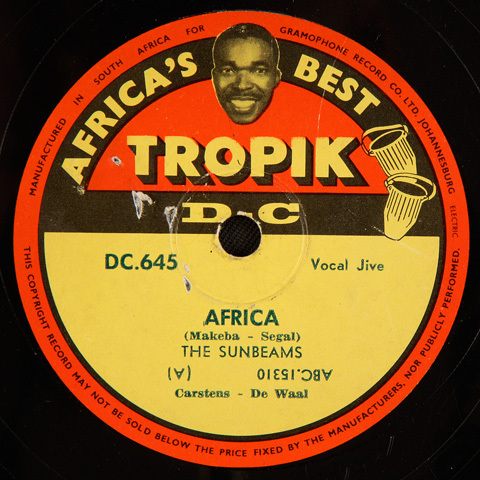 In Makeba’s version of Jamaica Farewell, Kingston Town is replaced by Sophiatown. According to Allingham the session included Miriam Makeba, Abigail Kubeka, Sam 'Vandi' Leballo, Mummy Girl Nketle, Mary Rabotapi (vocals), Almon Memela (guitar), Eddie Wyngaart (bass) and Dan Hill (bongos). The USA disc is a 1965 reissue of an earlier Gallotone release GB 2608. The influence of calypso in general would continue into a number of other tracks some of which are featured below. I am almost convinced that these two tunes by the Flashes feature Makeba on lead vocal, though I have no evidence other than her voice to go by. I included the first track on my earlier compilation mix here at Electric Jive: 78 Revolutions Per Minute: Majuba Jazz from Mra to Bra. Certainly the b-side track, Mme Matsoale, is one of the real gems of this compilation. Let’s Break Bread Together is the b-side of the hit track Live Humble a tune penned by Gibson Kente. 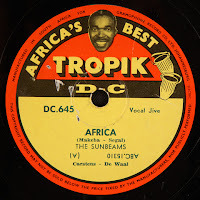 It seems that after the great success with Hush, a gospel-inspired tune recorded approximately three months earlier roughly in June 1958, the group worked again with Kente on a number of socially tinged songs in English, including the track Do Unto Others. The Skylarks would go on to record a number of other gospel flavored tunes composed by Kente in their final sessions with Makeba in 1959. 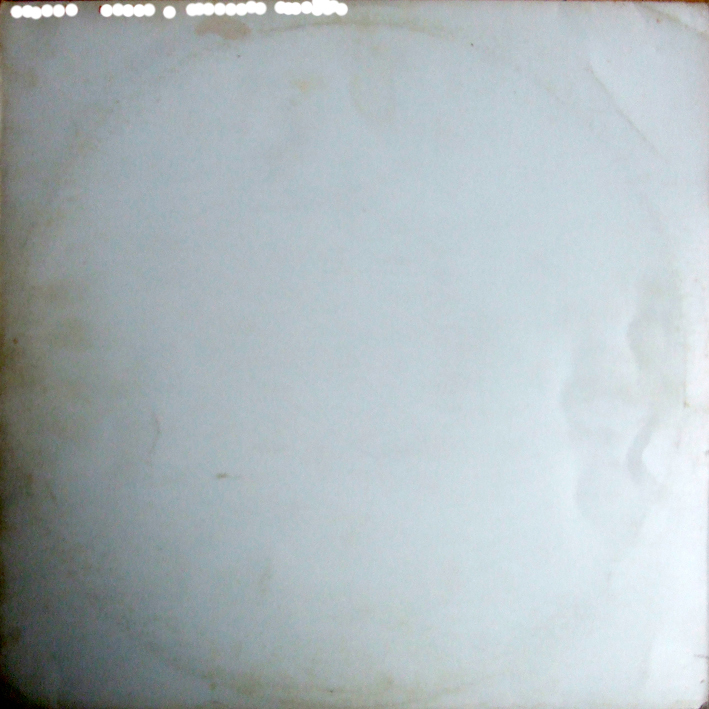 The first third of the song is missing as the disc from which this track comes has a significant break. An appropriate tune for the season. This was probably recorded in December of 1958 and follows a tradition at Troubadour and Gallo where Christmas and New Year songs were recorded annually for holiday sales. The last four tunes all come from Makeba’s last two sessions at Gallo, on August 12th and 14th, 1959, before she would leave for Europe and then the USA. All above except Miriam’s Goodbye to Africa (by Reggie Msomi) were composed by Gibson Kente and have a distinct gospel influence. The session also included a number of other hits for example Miriam and Spokes’ Phata Phata, Uile Ngoane Batho (both with Spokes Mashiyane), Uyadela and Yini Madoda, amongst others. The group for these sessions included Makeba, Abigail Kubeka, Mummy Girl Nketle, Mary Rabotapi (vocals), Reggie Msomi (guitar), Johannes 'Chooks' Tshukudu (bass) and Louis Molubi (drums). On Miriam's Goodbye, Sam Ngakane is also included on vocals with Dan Hill on organ. Kente's Motherless, Fatherless Child references Makeba's leaving of her young daughter, Bongi, as does Miriam's Goodbye which literally marks her departure from South Africa. She would be re-united with Bongi in the United States a year later. 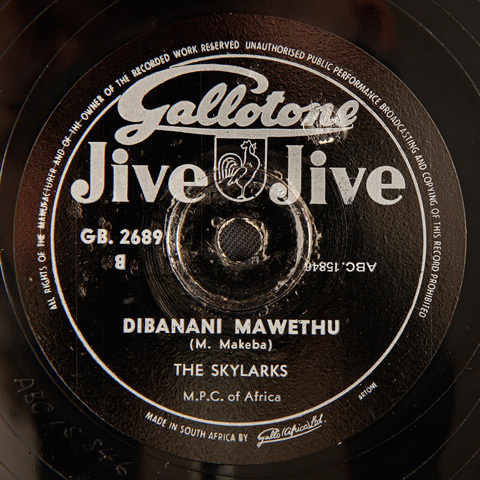 Miriam's Goodbye was not issued until she left South Africa and became one of the Skylarks' biggest hits. It is also featured on the New Sounds of Africa Vol.2 LP which can be viewed here at EJ. For more Skylarks material also check out New Sounds of Africa Vol.1. I wanted to include Miriam's Goodbye to Africa in this compilation as it significantly marks the end of her South African career. But this tune is also quite common so I have chosen to leave the transfer in its raw state without any software clean-up. The Breakfast Special, as I have called it, really does give one a sense of how some of these 78 rpms have aged. ABOVE - AN EXCERPT OF AN LP COVER FEATURING A CARICATURE OF MAVUTHELA'S POPULAR MAHOTELLA QUEENS IN 1972. 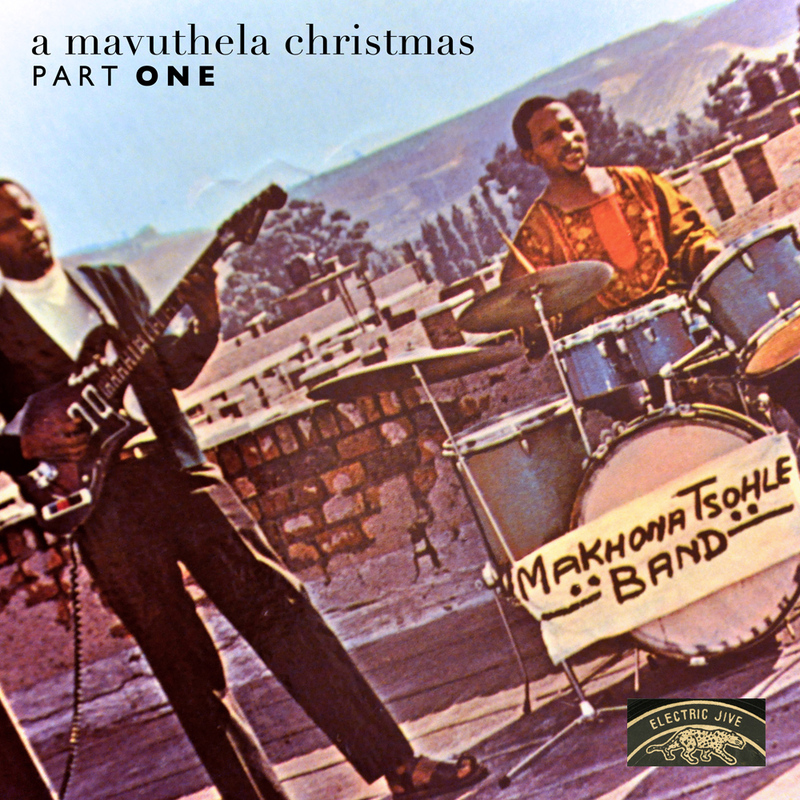 At last… the concluding part of A Mavuthela Christmas is offered to Electric Jive readers all across the globe. 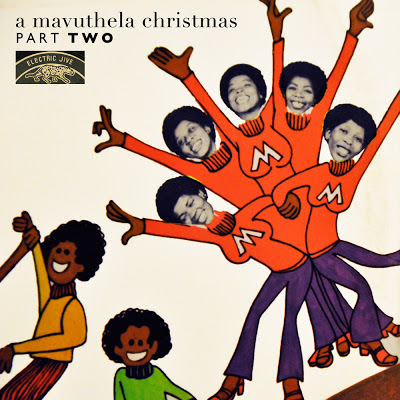 In this mix of festive mbaqanga treats, we take a look at the astonishing talents of the male and female vocal groups that graced the Gallo studios during the Mavuthela era. 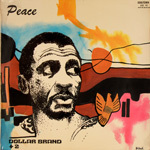 Sumptuous guitar work and traditional male vocals grace the tune of “Manyane Jive Part One”, a 1976 recording by the studio band Pops and Sons. The tune was written by the then-husband and wife team of Rupert Bopape and Irene Mawela, although the accomplished vocalist Mawela does not appear in this song. She does, however, lend her beautiful vocals to The Zebras’ “Selemo Sekene”, perhaps one of her most marvellous songs. The Zebras was another studio band that twisted the then-popular arrangement of female singers fronted by one male around on its head – in a unique and somewhat ironic throwback to the style that the female-led mbaqanga had replaced, The Zebras featured a selection of Mavuthela male singers who were fronted by one female (Irene). Sometimes, though, they managed to creep into the studio without Irene to record some fine classics, such as “Retsoa Daveyton”. The mid-1970s gear shift towards male mbaqanga was not unusual – the female-led mbaqanga had dominated the country since at least the late 1950s, when the formula was arguably set by Miriam Makeba and The Skylarks. Rupert Bopape, who was then at EMI, sought to replicate that formula en masse for two reasons. Number one, The Skylarks sounded great; and number two, it might be more fun to turn the then-popular combination of four or five men with a single female lead right round on its head. Under his keen producing eye, some of the most popular groups were built up. 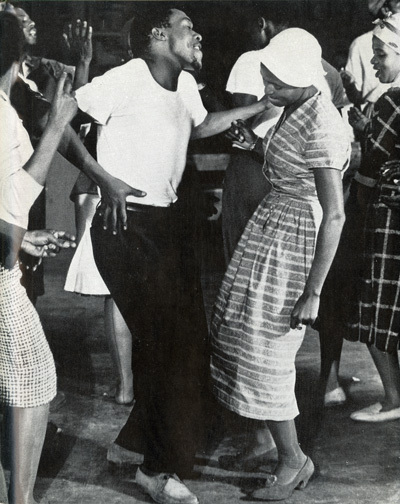 Having had successes with the Dark City Sisters and the Killingstone Stars, his move to Gallo in 1964 saw him build up even bigger successes with the Mahotella Queens, the Mthunzini Girls and Izintombi Zomoya. 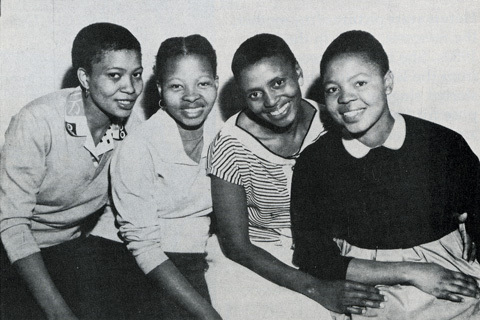 But by 1974, the only successful female mbaqanga groups were the aforementioned bands and others that had been in existence for some years by then. Almost all the new female groups of the mid-1970s found little success. The biggest mbaqanga group of that decade was, unsurprisingly, a completely male line-up (perhaps the male equivalent of the Mahotella Queens) called Abafana Baseqhudeni. Abafana was not just comprised of male singers who blended well – all five of them were groaners who had built up their careers singing with female groups. Robert ‘Umfana Wembazo’ Mkhize was the leader of the group, and continued to make his own solo recordings while heading up Abafana. The group was extremely popular and productive until the rise of the disco-soul sound in the late 1970s and early 1980s. Experiments with a male-led mbaqanga happened as early on as the 1960s. The Black Mambazo (not related to the wonderful isicathamiya group from Ladysmith) combined their pennywhistle skills with their guttural moans and wails to create interesting material, and it became one of South Africa's most popular bands until tastes changed as the decade wore on, and their popularity faded. When Bopape moved to Gallo and ended up with several female units under his belt, he combined all the groaners of the lower-tier groups to create a male equivalent to Izintombi Zomoya – it was called, aptly, Izinsizwa Zomoya. Unfortunately, the group did not last long. It was not until Abafana came along in 1974 that the male-led mbaqanga really took the country by storm. One of Mavuthela's most popular female groups (underneath the top-selling senior group, the Mahotella Queens) was the Mthunzini Girls. Originally a quartet consisting of Julia Yende (lead vocals), Windy Sibeko, Teddy Nkutha and Virginia Teffo, the group soared to the top with memorable hits like "Ngikhala Ngiya Baleka", "Gijima Mfana", "Sobonana Emafini" and other greats. John Moriri became the group's regular male vocalist in 1967. With John on lead vocals, they developed an even bigger stage presence with the likes of "Dikuku", "Tsabohadi", "Sedikwedikwe" and more. Around 1970 the line-up disintegrated, but the group was kept together by John. He recruited Beatrice Ngcobo to the group as the new lead singer alongside members Phyllis Zwane, Thandi Nkosi, Maseri Nombembe, Barbara Shabalala and others. Under this line-up, more effervescent jive hits were recorded - one of them, "Majazana", is included in this mix for your enjoyment. 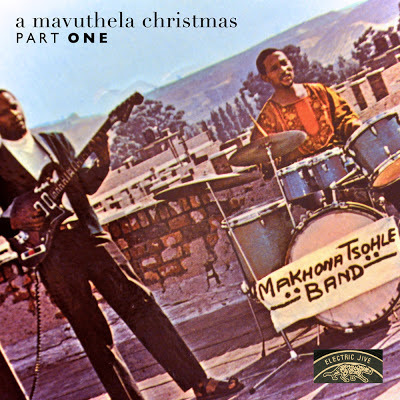 In 1972, John Moriri left Mavuthela following Rupert Bopape's refusal to reimburse the group for a local tour. He went to Satbel Records and was joined by the members of the Mthunzini Girls, and they formed a new group which released phenomenally high-selling hits under the name John Moriri and Manzini Girls. Back at Mavuthela, singer Julia Yende returned to the studios, and - as the Mthunzini Girls were now recording under another name for another company - joined Izintombi Zomoya as their new lead vocalist. She leads the great and soulful 1975 tune "Phuma Makoti". The signature female mbaqanga group, the Mahotella Queens, also makes its appearance on this compilation. Their trademark vocal sound is put to effective use in the song “Wamuhle Makoti”, a song written by regular Queens vocalist Olive Masinga about the beauty of a young bride-to-be. It is a wonderful arrangement, with a rather large-sounding assortment of the usual vocalists (Rupert Bopape would often squeeze as many as seven or eight vocalists into the studio for Mahotella Queens recordings!) as well as the male backing vocals of Robert Mkhize and Elphas Ray Mkize. The Queens also feature here twice more. The ladies (under a slightly different combination of singers) sing the 1970 song “Morabaraba”, with its feisty mgqashiyo “no-nonsense” arrangement. 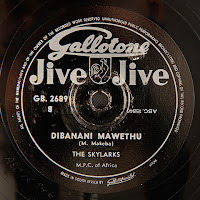 There is also a tune here by Emily Zwane and The Sweet Sounds from 1974 – a pseudonym which is actually the Mahotella Queens fronted by lead singer Hilda Tloubatla, singing the song “Izinto Zimanukwenzeka” written by member Constance Ngema. Emily, who sings here only as part of the group itself, actually did go onto become the lead singer of the Queens when Hilda left the band in 1976. Emily fronted the group until it was reorganised in 1987 for the international breakthrough, at which point Hilda and two of the other original Queens were reunited. …and that, EJ readers, is all from me for now. It’s been a huge pleasure to regularly serve you with long forgotten rare and exciting gems, and to give people a real insight into who these musicians were and why their stories are still relevant and important today. Whatever the future holds for the blog, I’m glad to have combined in-depth context with some of the most beautiful and important music ever recorded – and I sincerely hope that all of you have appreciated and enjoyed it as much as I have. There are more exceptional treats to come over the next couple of weeks, so please do stay tuned to Electric Jive. 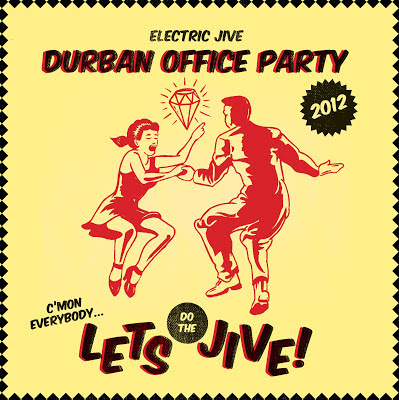 Another year, another Durban branch office party mix (separated tracks also available) - another time to celebrate out of print and diverse South African music ranging from mostly rare 78rpms from the fifties and sixties and through to the seventies with a selection from my collection. 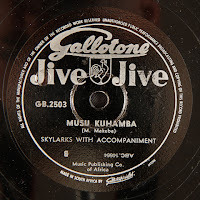 A cheerful mostly mid-tempo concoction, you may be encouraged to dance, sway, do the jive, or just tap your fingers and feet to this blend of 50s jazz, early sixties twist and mbaqanga, kwela, and rock 'n roll. Who knows you might find yourself in the shower letting loose with a few catchy Elvis Presley choruses in Zulu - the King Cole Boogies doing two wonderful Presley covers in Zulu. Alpheus Nkosi also does some great 60s rock 'n roll. In-between you will find a little boere guitar and concertina, not at all out of place, and also a pleasant surprise from 1980s Durban band Scooters Union. Tracks from Ntemi Piliso's Alexander All Stars, and Reggie Msomi's Soweto Groovin (1976) pop up as a preview to the full LPs I plan to share sometime in the new year. 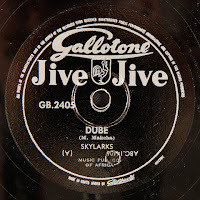 As mentioned in my Congo singles posts earlier this year, (here and here) South African groups in the early 60s did celebrate and appreciate the music of the Congo. We kick off with two 78rpm records from the "Pretty Dolls" and the "Dark City Sisters". The wonderful artwork you see at the top of this post was specially created by Kunyalala Ndlovu for Electric Jive. Thanks Kone we love it, and we look forward to working some more with you! Kone says his "work is simply a visual result of seeking little known southern african popular culture and making it visible; welcome to the afro-pop life." To check out more of Kone's creations, click here. Thanks once again for your company and especially to all of you who left comments during this last year. I look forward to sharing more wonderful music with you in the new year. 20. Apple Tart: The Alexander All Stars (Ntemi Piliso) Apple Tart Cake (1976) LP: SSL 0120 - Soul.Soul. 29. Nomdayi: Reggie Msomi and his Jazz Africa (Reggie Msomi) LP: Soweto Grooving (1976) SoulJazzPop BL90. In a 1980 interview Hugh Masekela laments the fact that Kippie never made an LP of his own: “It is amazing that Kippie Moeketsi has been around for a long time and has never made an LP on his own. It is only when Pat Matshikiza or Dollar Brand calls him that he’s been able to do something. There’s an image hanging around him that he is a drunkard. Truth is he has been frustrated in his attempts to set things straight for Black artists. Bra Kippie is among the most brilliant musicians we’ve ever had and also a champion for the rights of his colleagues. Even militants use to call him a trouble-maker”(Umhlaba Wethu, edited by Mutloase Mothobi – Skotaville Publishers, 1980). 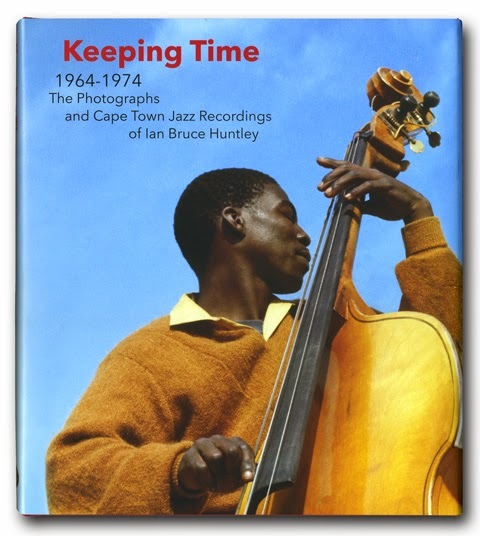 This live concert recording of Kippie Moeketsi, made and preserved by Ian Bruce Huntley, is special in that it is a recording with Moeketsi as leader - the LP he never made. In fact, at ninety minutes long it would have to be a double LP. This recording contains tracks we believe were composed by Moeketsi and are not recorded anywhere else. I use the word “believe” advisedly as jazz buffs more knowledgeable than me cannot identify seven of the nine tracks from this concert. Ian is of the opinion that some of these tracks are Kippie’s own creations that he never gave names to. Does anyone recognise these from elsewhere? 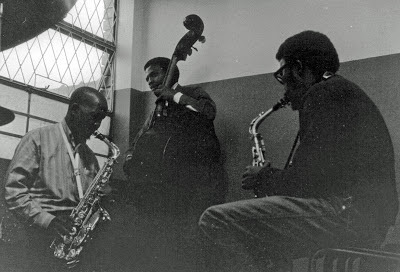 Today’s previously unreleased recording is also special in that ten days after this once-off concert at the Art Centre in Cape Town, Dollar Brand sent Moeketsi, Victor Ntoni and Nelson Magwaza a telegram asking them to come to Johannesburg and join him in making what were his first commercial recordings in South Africa since 1960. Produced by Rashid Vally, those records are now lauded as classics: Dollar Brand + 2 with Victor Ntoni and Nelson Magwaza (Gallo-Soultown KRS110) and “Dollar Brand + 3 with Kippie Moeketsi” - with Ntoni and Magwaza as well. (Gallo-Soultown KRS113). 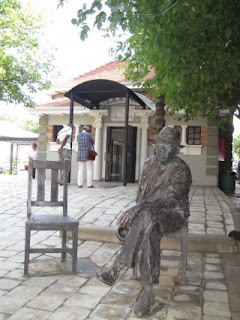 This concert at the Art Centre in Cape Town also flags the emergence of "the sad man of South African jazz" from a number of years where he did not record or perform much in public. Kippie went on to make major contributions to two of Pat Matshikiza's recordings, and also recorded with Hal Singer: see Matsuli's As-Shams discography which includes Dollar Brand +2, Dollar Brand + 3, Tshona (1975), Sikiza Matshikiza (1976), and Kippie Moeketsi-Hal Singer (1977). When the plan to bring Kippie to Cape Town was originally hatched, Ian Huntley agreed to pay for the airticket - what was then a 'substantial' sum of fifty rand. When Danayi Dlova (sax), Victor Ntoni (bass) and Nelson Magwaza (drums) went with Ian to Cape town airport in Ian’s Renault 4L, they found Kippie with a small tog bag in his right hand - no saxophone. Kippie spent that night at Ian’s flat on Main Road in Rondebosch listening to music from Ian’s already legendary collection of vinyl. Duke Ellington’s big band recordings propelled Kippie to prolonged tears of emotion and appreciation. The next day was spent trying to find a saxophone that Kippie could use for the concert. In the end, Ian made a plan and persuaded his friends Lawrence and Sherlaine Koonen at The Record Centre to give him a loan (Ian would normally spend every spare cent of his modest mapmaker’s salary on buying jazz LP's from them). So, it came to be that Ian bought Kippie a brand new Selmer Mark 6 alto saxophone. As a live recording there are one or two brief moments where Danayi Dlova and Kippie Moeketsi’s saxophones feel around to find each other. There are however sustained flashes of brilliance from Kippie and all of the band members. Sometimes you have to listen carefully to distinguish if it is Kippie Moeketsi or Danayi Dlova playing solo. Kwa-Mashu, Durban-born Nelson Magwaza’s drumming and Victor Ntoni’s bass are really top class. 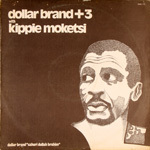 Less than two weeks later Kippie Moeketsi, Nelson Magwaza and Victor Ntoni took the train from Cape Town to Johannesburg to make those recordings with Dollar Brand. It is understood that the train ride was quite a party. 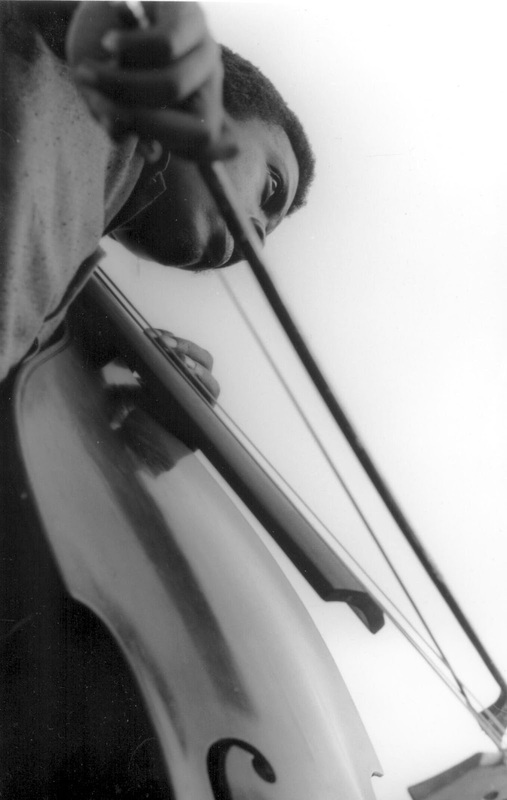 It was in 1954 when Dollar Brand joined Mackay Davashe’s Shantytown Sextet when he first met Kippie Moeketsi. Together they embarked upon an epic journey exploring and experimenting with the music of the U.S. jazz and bop greats. Along with Dollar Brand, Moeketsi then went on to form the legendary Jazz Epistles with Hugh Masekela, Jonas Gwangwa, Johnny Gertze and Makhaya Ntshoko. 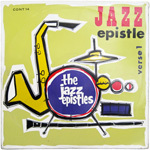 Their album, Jazz Epistle Verse One, was recorded in 1960. “Scullery Department” the sixth track featured on this Art Centre recording was originally recorded on Verse One. Kippie Moeketsi's statue outside "Kippies"
In September 2009 a bronze sculpture of Kippie was unveiled in tribute by the City of Johannesburg outside the Newtown jazz club bearing his name. Kippie Moeketsi died penniless in 1983 at the age of 58.